The clock is ticking, and it’s almost time for battle. Have you prepared? Today Universal Studios Florida announced that annual passholders will be getting exclusive early ride time on Transformers:The Ride beginning June 9th. With that announcement, soft openings for technical rehearsals may not be too far off. 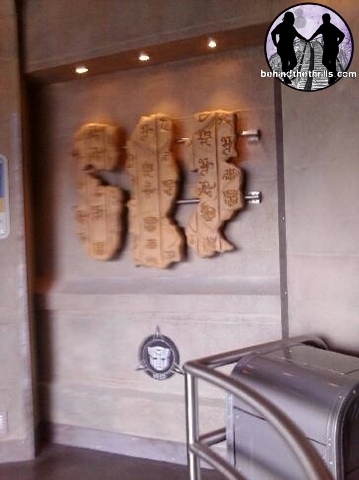 Tonight we received pictures from a reader who was invited into the ride, as well as a review. What we get to see is way too exciting, and makes the June 20th opening seem even further away. *Update! Optimus Prime now guards the entrance to N.E.S.T. headquarters as a huge figure atop the entrance to the ride. The figure makes a very intimidating impression to any evil doers thinking of stealing secrets or thw All-Spark! Optimus is a marvel amd stands at about 20 feet tall amd weighs around nine tons! That is some serious heavy metal, and the kind of guard you want on your team. 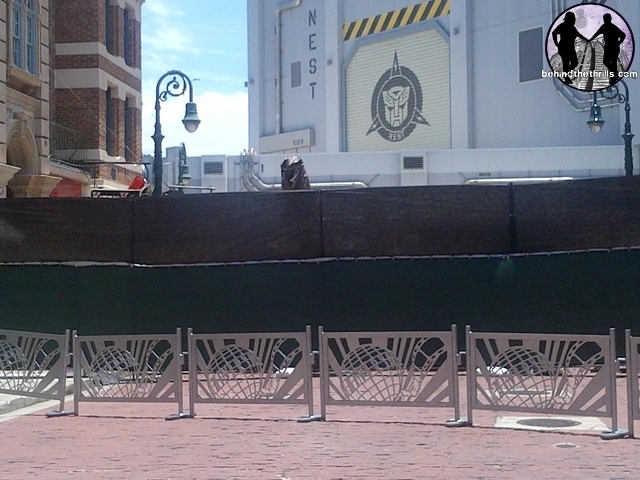 There is also a spot marked off that gives you the best spot for a photo op with Optimus Prime, leader of the Autobots. 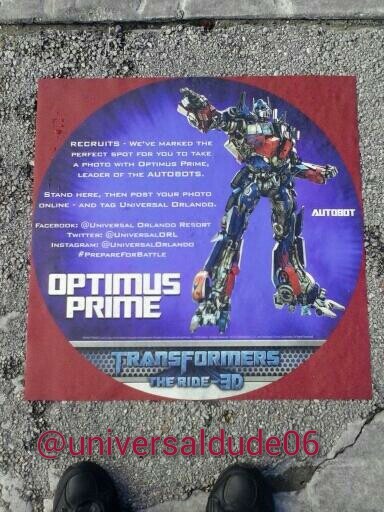 This now marks two places in the park where you can get your picture with Optimus Prime. If you want a picture that is a little closer, there are character meet and greets with Optimus Prime, Megatron, and Bumblebee. Those meet and greets use stiltwalkers in Amazing costumes that interact with guests. 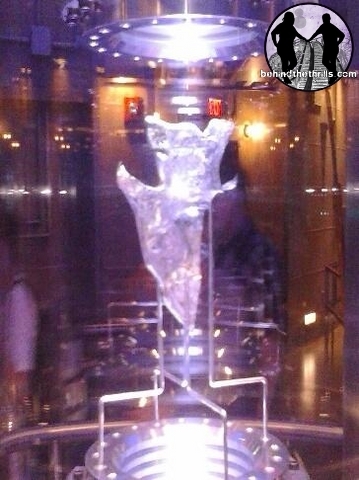 The first thing that guests will see is the piece of the Allspark from the film. 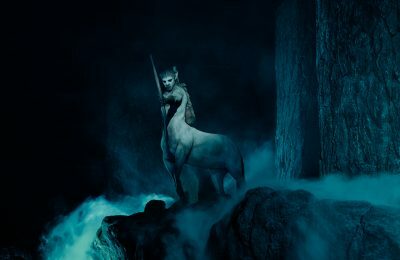 It’s big bright and beautiful, calling attention to it, and begging for protection from the dark forces that align to take it. 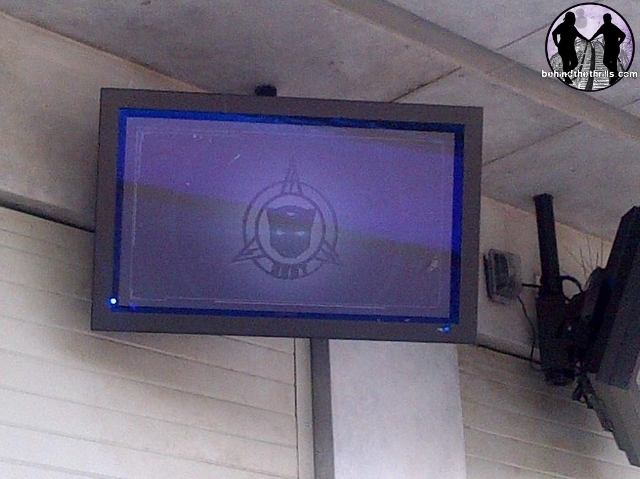 Ancient symbols are rendered all throughout the attraction as you make your way to the ride vehicle. Through the use of the television screens both inside and out of the building, we learn that this is a training facility used for N.E.S.T. to keep the Allspark safe and to help the Autobots maintain protection over Earth. 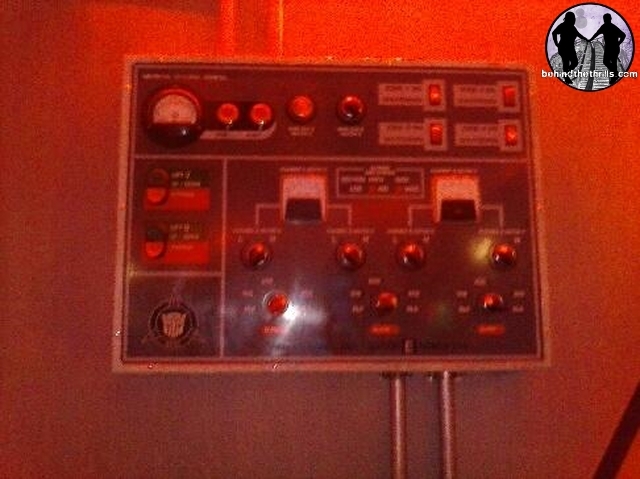 The queue is very interactive and very welcoming to guests to touch and play with all the buttons, knobs and switches. Of course, they really don’t do anything (yet, and may never) but it’s still a lot of fun to watch guests go through and interact. This is going to be something that kids will absolutely love. 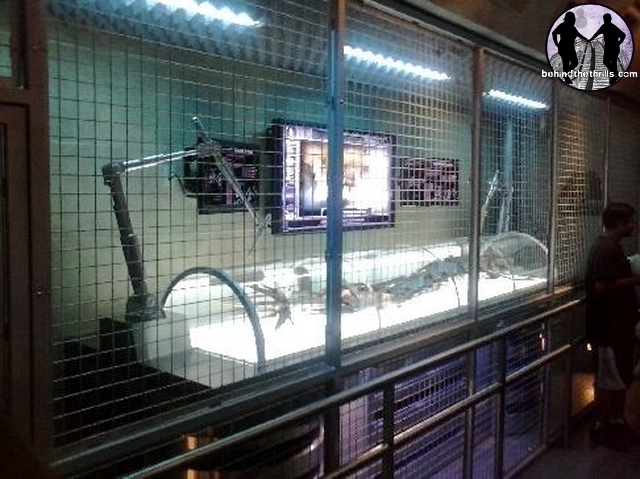 We also get a glimpse of Scorpinok’s tail as well as several other artifacts from battles in the past. While the battle has been won, the wars are from over. When it’s time to ride, guests board EVAC, an all new Autobot created specifically for this ride. EVAC is a little new at this, but he’s had a lot of N.E.S.T. training, and he’s your only hope at surviving an attack by the evil Decepticons. While we won’t get into the ride, and tell you any details, we will tell you what to expect. 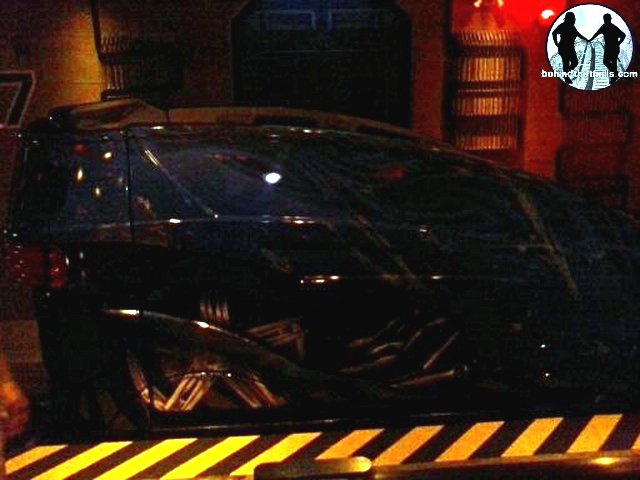 Transformers is a very detailed 3D ride that takes you through many different situations. 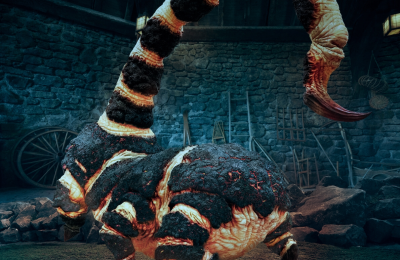 It might be scary for the smaller freedom fighters, as it contains big battles and explosions. There is so much action to this ride, that it leaves your breathless. 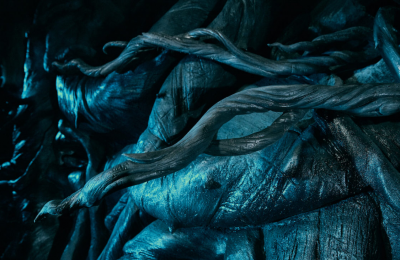 While the obvious comparisons to Spiderman come to mind, it’s a completely different beast, and one that will…transform…what you think of theme park attractions. 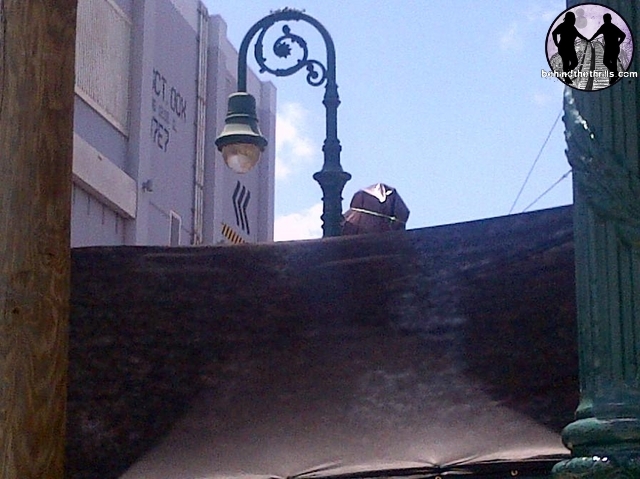 Outside of the building, television monitors glow and cycle through the entire queue video, and a huge figure stands behind a fence, covered in a tarp. 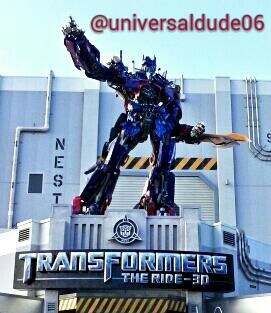 We are told that it is a huge statue (could be animatronic) of Optimus Prime that will stand above the entrance calling to the humans to come and train with N.E.S.T. Again, as of right now it’s just a rumor. While the ride is fulling functioning, this version is still in technical rehearsals, which means that it could very change. While public soft openings for technical rehearsals aren’t happening yet, it’s very likely that the attraction could be open any day now, but because they are technical rehearsals, the ride is not guaranteed to be open. The official grand opening date is June 20th, and if you are hoping to definitely ride the new attraction you should plan a visit on or after the 20th, as a precaution. 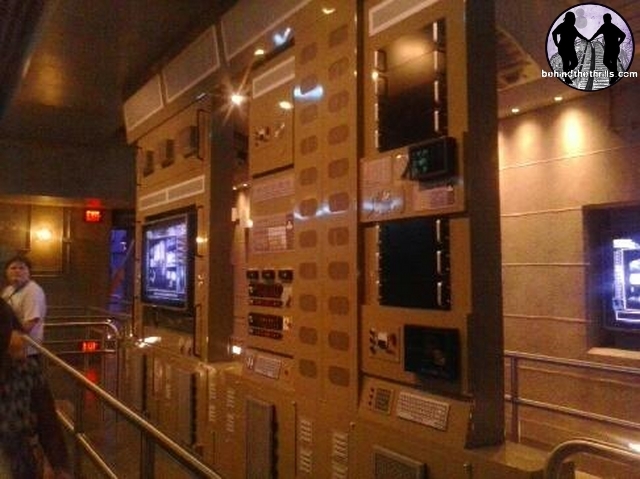 For more information about Transformers at Universal Studios Florida, visit the official website by clicking here!